Inspired by The Orange Cocktail at San Francisco’s nopa, this cocktail is the perfect alternative to mimosas at brunch. Citrusy cocktails are my go-to this time of year — Not-Your-Grandfather’s Old Fashioned and The Meyer Lemon Whiskey Sour are two of my old favorites — and this one’s definitely getting added to the rotation. 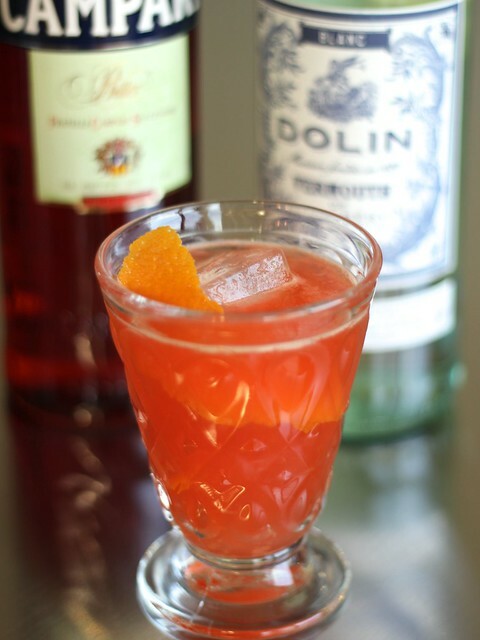 A well-balanced combination of freshly squeezed orange juice, blanc vermouth and Campari makes for a refreshing sip with just enough of a bitter edge. Cheers! In a cocktail shaker or Mason jar, combine orange juice through Campari with ice. Cover and shake until throughly chilled. Pour into glasses, add ice and a strip of zest. Serve immediately. ¹ Be sure to purchase blanc vermouth, not dry or sweet. While not listed on the BevMo! website, I was able to find it at the store (the San Jose Westgate location). ² Gluten-free status info can be found here.